Full-service design + build company. Baker Design + Build has a “design-first” philosophy, and we believe if a space is not designed properly, it won’t function properly. We are a full-service design firm specializing in finish selections, space planning, and interior architecture. We also collaborate well with others if you already have a designer or architect and are just looking for a contractor with an eye for design. As both designer and contractor, we can manage the entire process from beginning to end. Whether you want to simply update your bathroom or you’re looking to build a new house from scratch, we are experienced in all types of projects. We also work well with other contractors if you already have your own and you're looking for an experienced designer. Blake Baker has been in the interior design and construction industries for well over a decade. He graduated with honors from the Art Institute of Dallas and has spent his professional years honing his impressive design and project-management skills. After graduating with a BFA in Interior Design, Blake worked for two well-known Dallas interior designers, working on million-dollar residential, commercial, and hospitality projects. For the next seven years, Blake was vice president of Classic Floors & Design where he designed interiors for residential and commercial clients. While working at Classic Floors & Design, Blake learned the construction side of the business and oversaw many residential remodel projects. Blake spent three years as managing partner and director of design and construction at RBS Brown Development where he designed, remodeled, and managed several high-end residential and multifamily projects. Blake not only has the ability to create beautiful spaces but also the knowledge and determination to get them completed on budget. Over the last 13 years I have had the opportunity to build dozens of new homes, remodel hundreds of homes, negotiate material contracts for thousands of homes, and meet hundreds of homeowners. As you can see, I have been in the residential construction industry since graduating college in a variety of roles but most importantly constantly learning about homes, which is my passion. We currently have a focus on new home construction and large-scale remodeling projects in and around DFW. This is not to say that we would not be interested in learning more about smaller scale projects or projects in other markets. Firms that can carry out both design and construction in Highland Park, TX take on the combined responsibilities of an architect, draftsman, construction company and additional contractors, providing one point of contact for homeowners. Having one entity responsible for the entire design and build, from estimation to subcontracting and even post-construction, streamlines and often speeds up the project significantly. Having a unified project team can also help you avoid unforeseen costs and delays in construction. In addition, the homeowner only has to interpret one contract with the design and construction firm, and not with various architectural design and contracting professionals. However, depending on the firm, you may still want to contact an interior designer or architect to help create the exact look you want. Here are some related professionals and vendors to complement the work of design & construction firms: Interior Designers & Decorators, Landscape Architects & Designers, Architects, Photographers. Project management demands time, skills and an eye for both detail and efficiency. While many homeowners choose to manage their own projects, they can often regret their decision once the build or home improvement project is complete. Homeowners should carefully consider the time they have available to allocate to locating, hiring and eventually paying every contractor who enters the site. From certifiers to roofers, and even your draftsman, a firm that can undertake design and construction in Highland Park, TX benefits from having all of these home professionals under one roof. 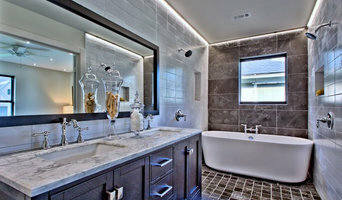 Find a Highland Park, TX design-build firm on Houzz. Scroll through this page to find design-build firms in your area. You can browse recent projects, read reviews and message the firm directly. 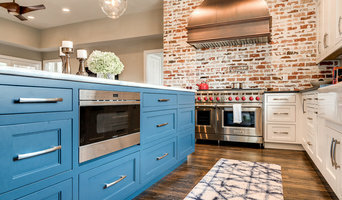 Another way to find a firm that can carry out design and construction in Highland Park, TX is to browse Photos on Houzz. If there’s a photo you like, find out who designed and constructed it and strike up a conversation with the professional responsible.